cut with round biscuit or cookie cutter, press the edge with fork all around. 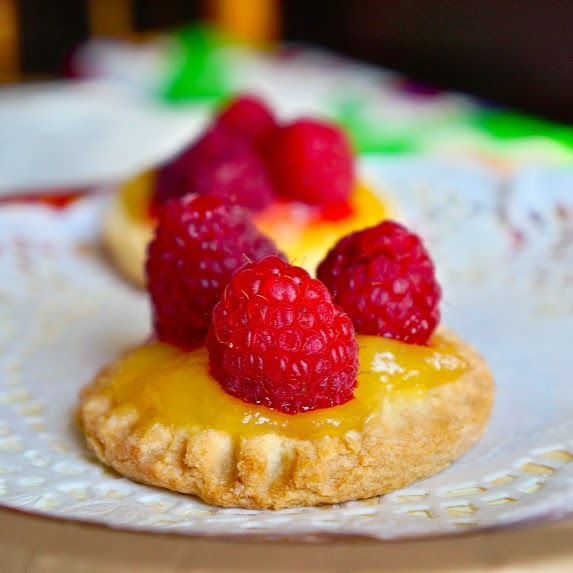 Let them cool, spread with lemon ginger curd or store bought lemon curd, top with fresh raspberry and sprinkle with confectioner's sugar and ready to serve. They look so beautiful with fresh raspberry! They look amazing! Must have been absolutely delish! I love tart flavors. these look great!